Pets are beloved members of our family, admire them in print with a custom carved portrait (These make great gifts!) Includes one hand pulled print to frame, and the block to use for future DIY print projects. Digital photos are wonderful, but the character that emerges from a hand carved family portrait is truly magical. From your image - I can draw, carve and create an original work of printed art. I love supporting my fellow makers & creatives by offering hand carved logo blocks. These blocks can add that hand printed touch to your marketing, packaging and promotional efforts. 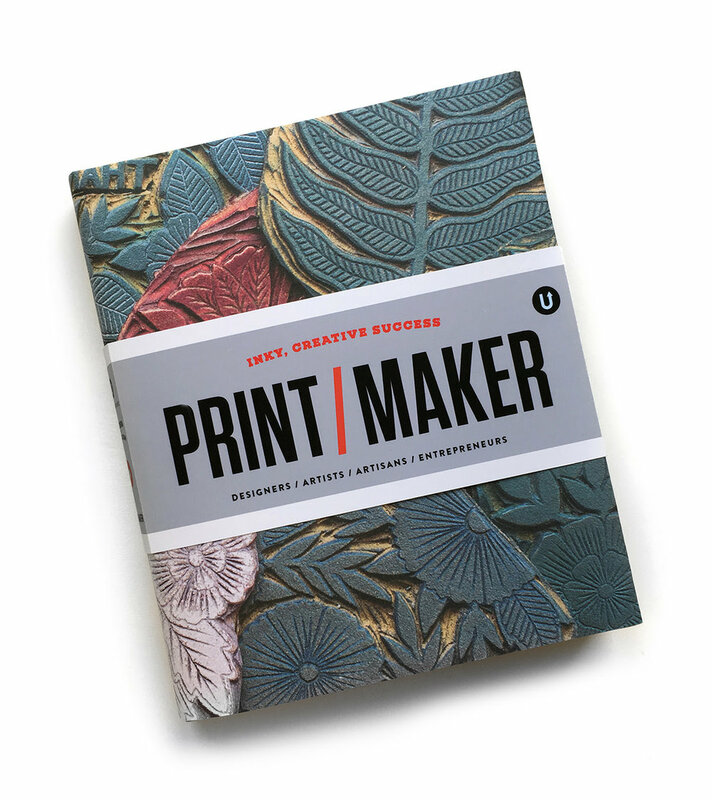 Learn all about PRINTMAKING and receive a MEMBER DISCOUNT on your Custom Order! Also check out my online course! A background in design and an interest in sustainability led me to the the unique opportunity to live in a demonstration passive house where I was a project ambassador, facilitated public tours, AND completed an artist residency. My professional career has provided me a unique perspective and knowledge in the areas of small business management, creative marketing, community development and sustainability - all of which influence my personal work as printmaker and surface pattern designer. I’ll be presenting my story of living and growing a creative business in a Passive House with 2000+ attendees at ALT OASIS! My workshop is title Layers of Experience: Meaningful Making and the Creatively Sustained Lifestyle, where I’ll share how my love for creating print & pattern found renewed purpose when combined with my residency in a Passive House. ALT OASIS takes place March 24-29th, 2019 in Palm Springs CA. Attendees are open-minded, smart, and design-conscious. They are intentional about their lives and freely share what they've learned. I can’t wait to share how better buildings can positively impact the planet with a new, and influential, audience!